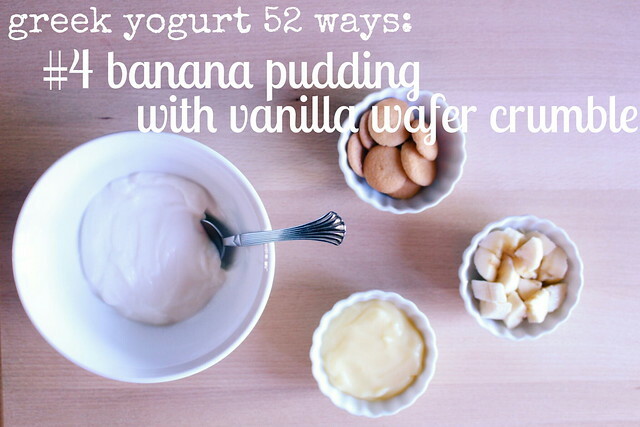 For this dessert, prepare banana pudding according to package directions and allow it to chill. 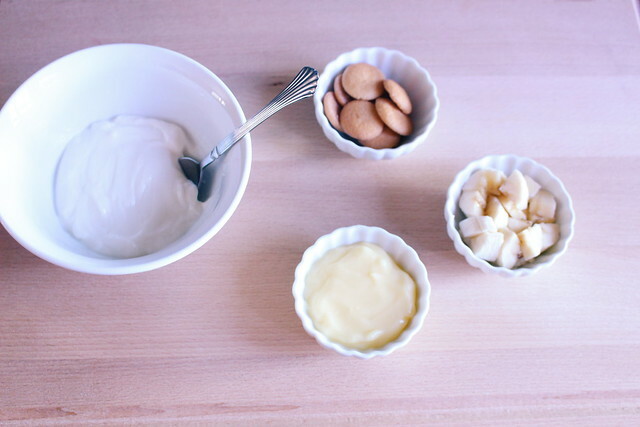 Next, layer 1/2 c of vanilla, Greek yogurt in a bowl and 1/4 c of banana pudding over the yogurt. 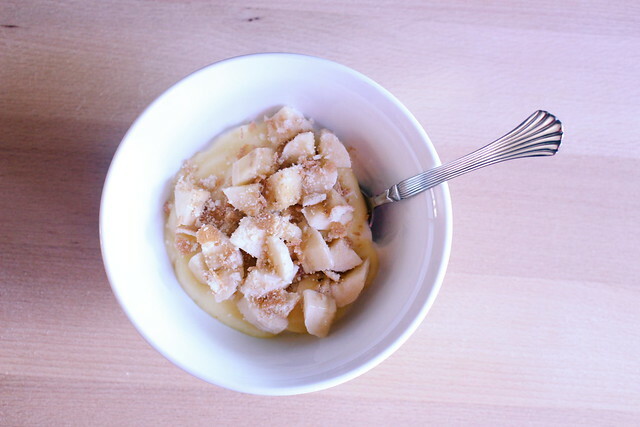 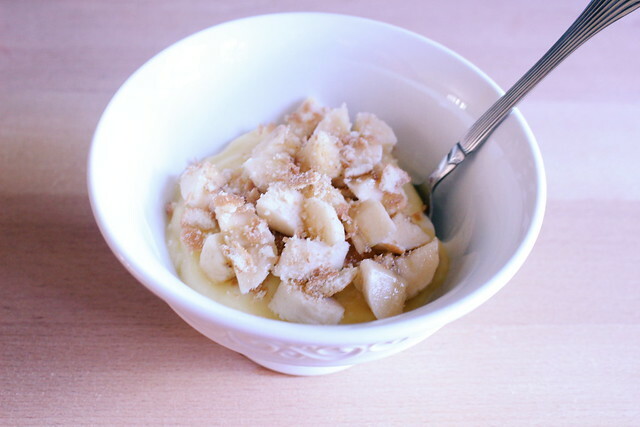 Finally crumble your vanilla wafers and top your pudding with your crumble and banana pieces.